Director Amin Dora is one of the leading visual artists working in Lebanon today, creating a variety of film and commercial projects including Shankaboot, the first Arabic web drama series, for which he won an International Digital Emmy. 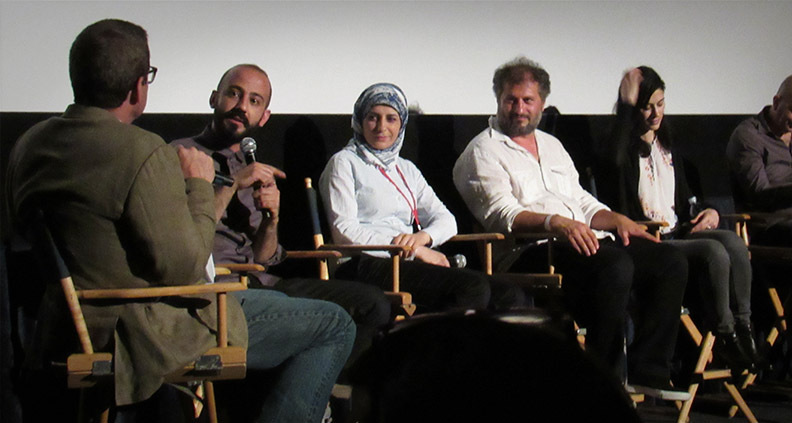 Told from the point of view of a 15-year-old delivery boy working in Beirut, the visually stylish series (which went online the same year as the Arab Spring) tackled many taboo social issues and generated a great deal of press and social media chatter—especially among younger viewers. Dora’s first film was the award winning stop-motion-animated short Greyscale. His debut feature, the gentle satire Ghadi, was Lebanon’s official submission for the 2014 Academy Awards. Since his return from LA, Dora has been busy working on the script for 11 Amazing Things, as well as prepping for his next feature and shooting a variety of commercial projects all over the Middle East. And somehow during all this, he’s also found the time to start pre-production on a new web series. Film Independent recently checked in with Dora to hear more about his busy, booming career and to learn a little bit more about his time in Los Angeles and his experience being a part of Global Media Makers. 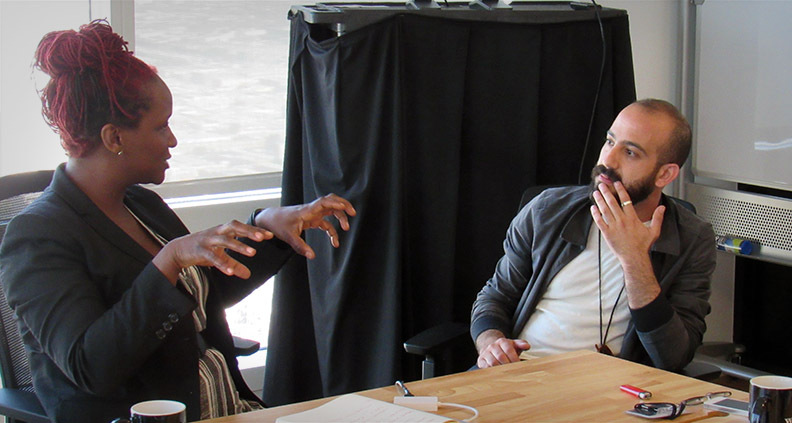 What have you been working on since the Global Media Makers LA residency? I’ve been further developing and working on the script draft of 11 Amazing Things You Should Know about Lebanon. The story took another dimension after Global Media Makers. And what are your plans for the year ahead and next year? Working on the second draft of the film and preparing for an upcoming feature film with the same team as my previous film, Ghadi—Gabriel Chamoun as the producer and Georges Khabbaz as the writer and lead actor. Also, [I’m] finally starting pre-production for a new online storytelling project. You’ve worked all over the Middle East. What should people who love film know about the film industry in Lebanon? As an industry, it’s one of the most advanced in the entire region, with a lot of character and an interesting pot of talents! What were some of the most valuable things you learned from working with the other Global Media Makers Fellows? It was interesting to learn more about our respective regions and [film] industries. There were authentic conversations. That never happens when we meet at festivals, things like the talks we had with the specialists. Happily there was no one recording our conversations during our bus trips! But still, the most valuable part [of the experience] is the friendship we earned between us—mentors and the lovely GMM team. Now that we’re so familiar with [each others’ projects], I really want to see them on screen. I hope to keep in the loop with these projects and see how I can help with giving feedback and input. What is the status of your Global Media Makers project today? [I have] a treatment and am going into script’s first draft. How did your project grow or change as a result of your experiences with the program? It gave me a wider vision and view on my project. I was able to benefit from the general talks [that we had]—especially in the ways they can relate to my project. Specifically, it opened me up to the possibilities that I can take the story to. [The experience] made me certain that this [11 Amazing Things] is the film that I want to co-write and direct. It made me confident that it’s coming from inside, and strengthened my belief in making it happen. What are your goals for the film going forward? Making this film as honest and true to myself as I can. Making the vision that I have in mind for it. Trying to make this film a success with audience and festivals. Thank you again for all the time and efforts! You made this experience unique and impactful.